1. Sign up to be an Amazon Mom – you will save 15% on this item and many more. 2. Use the Subscribe and Save option – you can set it to 6 months and cancel anytime after your wipes arrive – to save an additional 15% and get FREE shipping! You should pay a little over $10 for THREE packages of 216 count wipe refills. 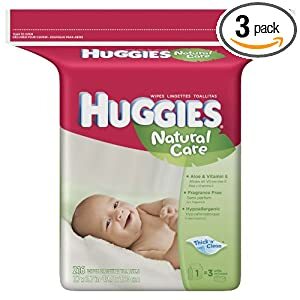 That’s basically 9 tubs of wipes for $10 shipped to your door.